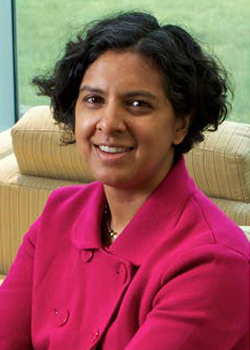 Anita Ramasastry is the current President of the Uniform Law Commission, having been elected to a two-year term in 2017. Ramasastry is a professor of law at the University of Washington School of Law in Seattle, where she also serves as a director of the law school’s Sustainable International Development Graduate Program. Ramasastry is an expert in international law, commercial law and law and economic development. Prior to becoming a law professor, she was an attorney with the law firm of White & Case in Budapest Hungary, and then served as a staff attorney at the Federal Reserve Bank in New York. Ramasastry has also worked as a senior advisor in the International Trade Administration of the US Department of Commerce. She previously served as secretary to the ULC, chair of the Committee on Scope and Program, and chair of the ULC’s Executive Committee. She has also served on numerous drafting committees including as vice chair for the committee that drafted the Uniform Prevention and Remedies for Victims of Human Trafficking Act. She began her work for the ULC as a reporter for the Uniform Money Services Act. Ramasastry is a graduate of Harvard College, Harvard Law School and the University of Sydney. Carl H. Lisman has served continuously as a Uniform Law Commissioner from Vermont for more than four decades. Prior to his selection as Chair of the Executive Committee, he chaired the Committee on Scope and Program, and as Treasurer, Division Chair and chair or member of numerous ULC drafting committees. Mr. Lisman received his A.B. from the University of Vermont and his J.D. from Harvard Law School. He is a Fellow of the American College of Real Estate Lawyers and a United States member of the Anglo-American Real Property Institute. He previously chaired the Board of Trustees of the University of Vermont and the Vermont Air Quality and Solid Waste Variance Board. Mr. Wilborn is a graduate of Eastern Kentucky University and the University of Kentucky, College of Law. In addition to the private practice of law he served as a member of the Kentucky Legislature, General Counsel for the Kentucky House of Representatives, Special Justice of the Kentucky Supreme Court, Chair of the Kentucky Unemployment Insurance Commission, Interim Executive Director of the Kentucky Commission on Proprietary Education, Executive Director of the Kentucky Petroleum Council, Chair of the Kentucky Insurance and Liability Taskforce, and as a Commissioner on the Education Management Selection Commission. Mr. Wilborn was first appointed to the Uniform Law Commission in 1990. 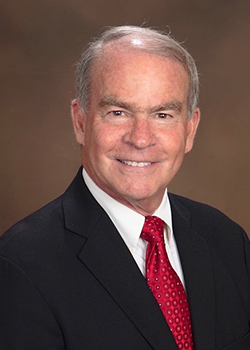 He has served as chair of the Uniform Military and Overseas Voters Act and the Uniform Prevention of and Remedies for Human Trafficking Act, as a Division Chair, as a member of the Scope and Program Committee, and now as Vice President of the Conference. 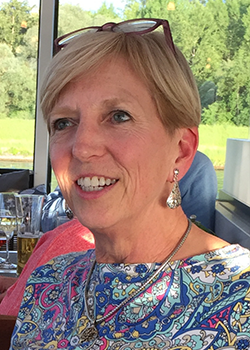 Ms. Winkelman is a 1986 graduate of the Villanova University School of Law and a 1983 graduate of LaSalle College. She has spent the last 16 years in Pennsylvania State government – first as an Executive Deputy General Counsel in the Governor’s Office of General Counsel serving as Governor Ed Rendell’s legislative counsel, and currently as the Chief Counsel to the Democratic Caucus of the Pennsylvania House of Representatives. Prior to entering State government service in 2003, Ms. Winkelman was engaged in the practice of law in the real estate and lending areas and general corporate law with extensive experience in multi-million dollar banking and real estate transactions. She has been a Uniform Law Commissioner since 2003, has served on numerous drafting committees and was a ULC Division Chair before being elected as Secretary in 2017. In addition to her “day job” and her work on the ULC, Ms. Winkelman is the House Democratic Leader’s appointee to the Pennsylvania Interbranch Commission on Gender, Racial and Ethnic Fairness, a 24-member commission comprised of appointees from all 3 branches of Pennsylvania State government responsible for addressing inequities and securing fairness and equal justice in Pennsylvania’s court system. She currently serves as one of the co-chairs of that Commission. 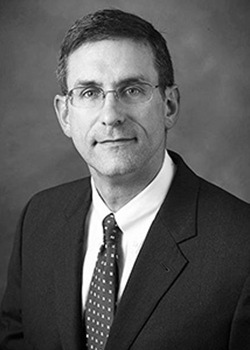 Thomas J. Buiteweg is a partner in the Ann Arbor, MI office of the law firm of Hudson Cook, LLP. Mr. Buiteweg helps financial institutions, sales finance companies, motor vehicle dealers and manufacturers to establish and maintain motor vehicle and personal property financing and leasing programs. He assists financial technology (“fintech”) and other companies establish and maintain electronic financial services programs. He is also active in several rapidly evolving areas of the law affecting the delivery of financial services, including the regulation of virtual currency businesses, highly automated vehicles and smart contracts. Mr. Buiteweg is also an Adjunct Professor at the University of Michigan Law School where he teaches a course in sales and secured financing that focuses on dealer and consumer motor vehicle sales and financing. Tom speaks and writes frequently on financial services and vehicle-related topics, including electronic financial services, collections and repossessions, highly automated vehicles, the Uniform Commercial Code, and vehicle and personal property leasing. 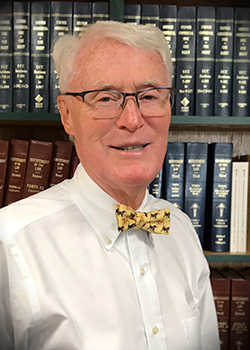 Mr. Buiteweg currently serves as Chair of the Michigan Commission on Uniform State Laws and as the Treasurer and an Executive Committee Member of the ULC. He also chairs the ULC's Highly Automated Vehicle Drafting Committee and its Committee on Technology. His past ULC work has included the regulation of virtual currency businesses, revisions to UCC Article 9 governing security interests in personal property, home foreclosure procedures, manufactured housing financing and motor vehicle titling. The Executive Committee is the ULC's governing board, and has the responsibility for implementing the policies adopted by the ULC at its meetings, and all the duties and powers prescribed by the Constitution and Bylaws.